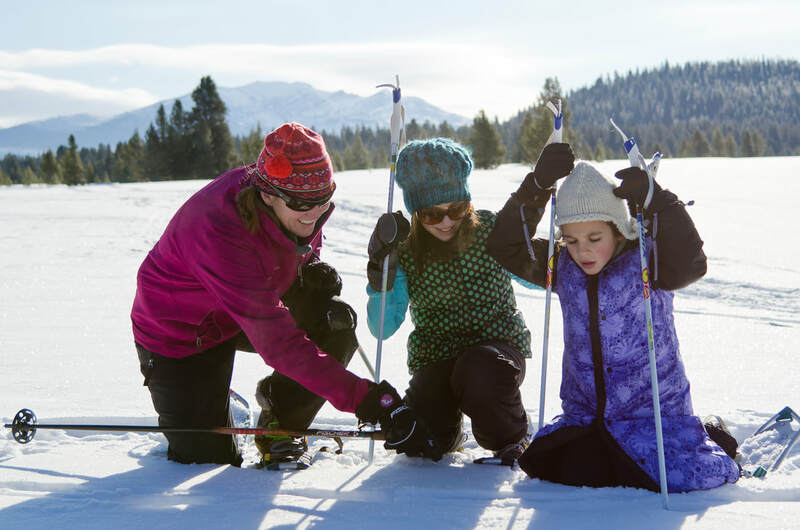 Yellowstone Winter Tours | Wildlife, Snowshoeing, XC Skiing, and more! Explore Yellowstone ... and beyond! Enjoy the solace of winter snows in the beautiful Yellowstone backcountry. Follow winter tracks, learn about wildlife adaptations, make snow angels. Great for new winter enthusiasts and those who are looking to experience Yellowstone as they never have before! Snowshoe into the depths of the wilderness, with the moon as your light. Schuss through forests or along headwaters of the Gallatin River. Warm yourself in front of a fire, under the twinkling stars, with hot cocoa. Fall in love with Yellowstone's winter wonderland. Mammoth Hot Springs, Old Faithful ... and more! Experience the winter wonderland in the heart of Yellowstone. 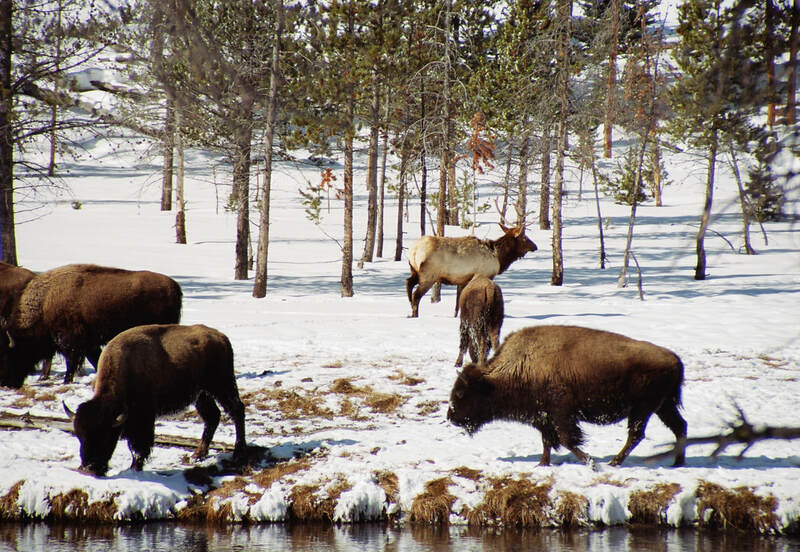 Travel deep into the Park by snowcoach, or head to Mammoth Hot Springs and the Northern Range for wildlife watching. XC Ski or snowshoe into places few visitors see. Enjoy an afternoon in the pristine winter wonderland of Yellowstone's wild places. Learn about winter ecology, while traveling through meadows and and forests, with beautiful mountain vistas as your backdrop. Finish the day dashing through the snow in a two horse open sleigh at the historic 320 Ranch. 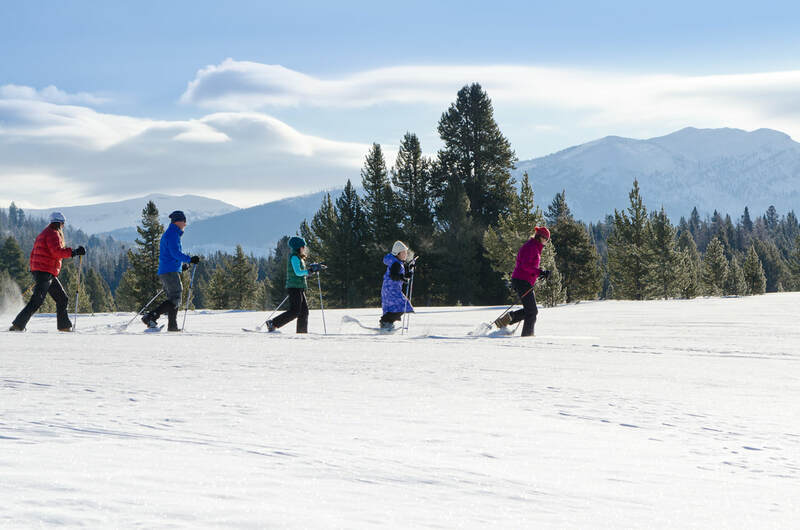 Tromp through the woods and down to the Madison River on snowshoes to see the wonders of Yellowstone in winter. Look for bison, elk, swans, eagles, and more. Bring out your inner science geek and contribute to NASA data bases by collecting data on clouds, water, and more. Spend the afternoon watching grizzly bears and wolves, and learning about wildlife, at the Grizzly & Wolf Discovery Center. 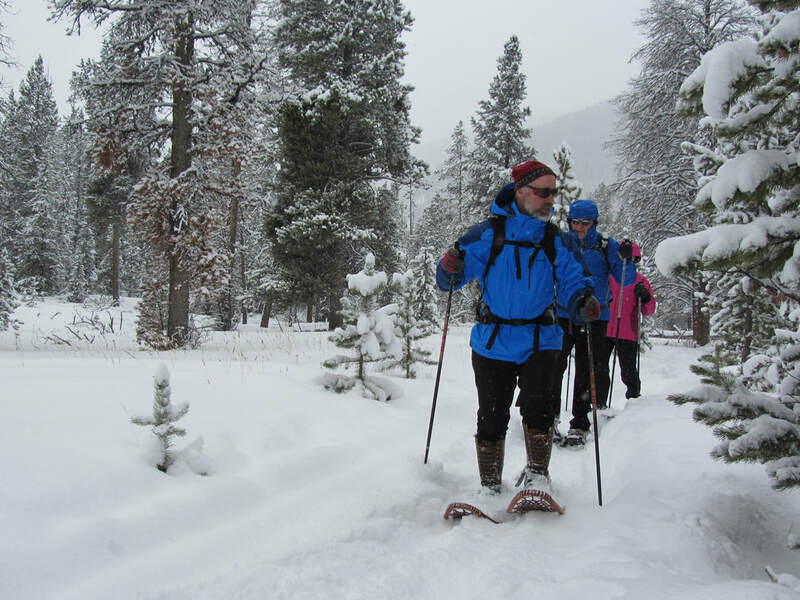 Want to learn how to XC Ski, so you can explore Yellowstone on skis? Click Here! See the wonder and experience the pristine solitude of Yellowstone's wild areas, in all their beauty. Enjoy the open vistas along the headwaters of the Gallatin River. Find wildlife tracks with your guide and learn about winter ecology. Half day and full day adventures available.